It was seeing Steph of Raspberri Cupcakes recent guest post on Kidspot where she made Milo flavoured macarons that motivated me to master the macaron. Before I saw these yummy-looking treats, I’d look at macaron recipes and think: “I should try making them again,” but never actually did anything about it. But Milo is a current weakness for me, so I bought some almond meal and gave it a shot. 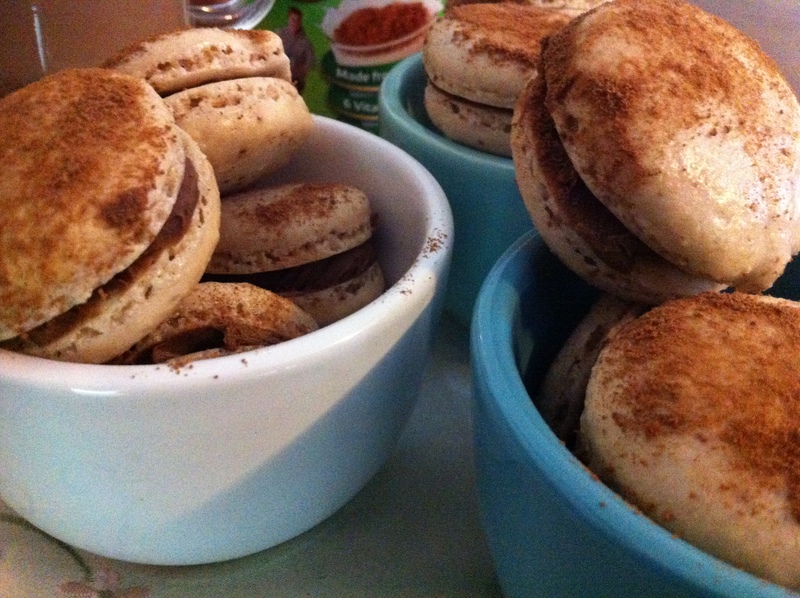 Admittedly, I felt boosted by the success of part one of the macaron challenge, the packet Zumberon. While all the ingredients in the packet mix were measured, I still had to make sure my equipment was sterilised, sift the almond meal, pipe the circles and pray they grew feet. 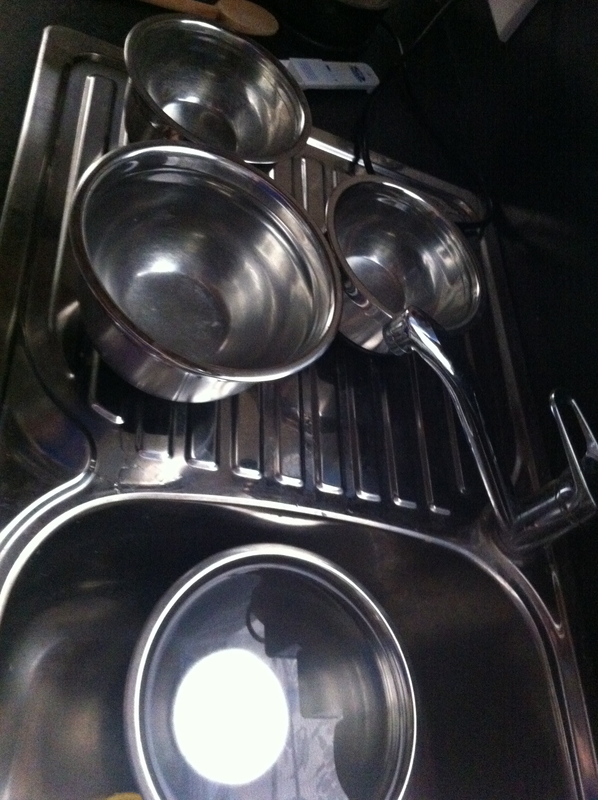 I felt, by the end of cooking the Zumberons, that I’d started to master some parts of the technique. I think it was enough to give me a feel for how macarons would react in my oven (because I’m in a new place with a new oven), get a feel for piping technique and, most importantly, the thrill of seeing them look like macs you buy at a store. 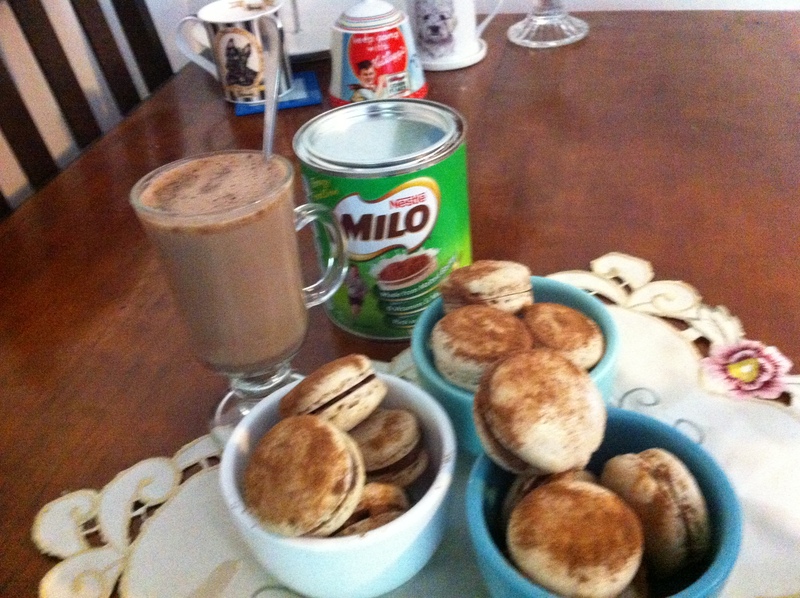 So, a couple of weekends ago, I spent the afternoon making Milo Macarons. 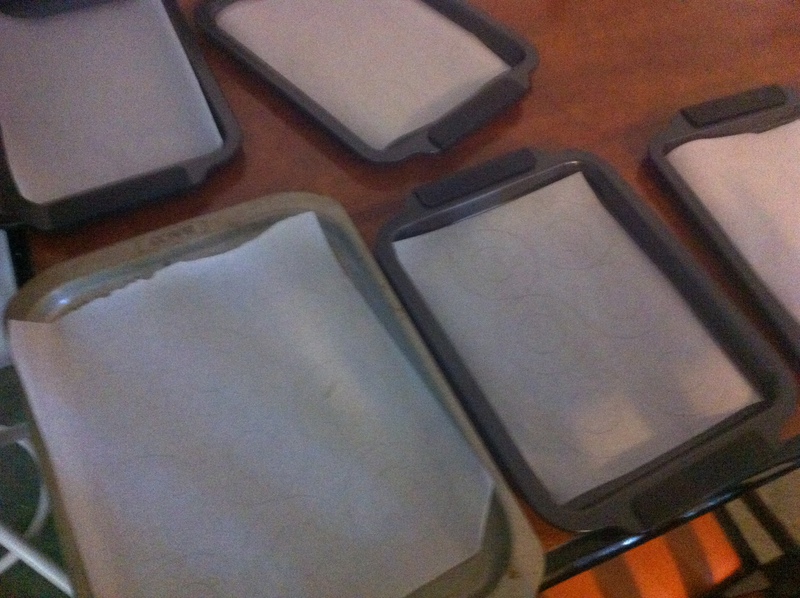 Not completely confident with piping them to size, I spent a lot of time prepping the trays by drawing circles onto my baking paper, using the stencil that came in the Zumberons box. 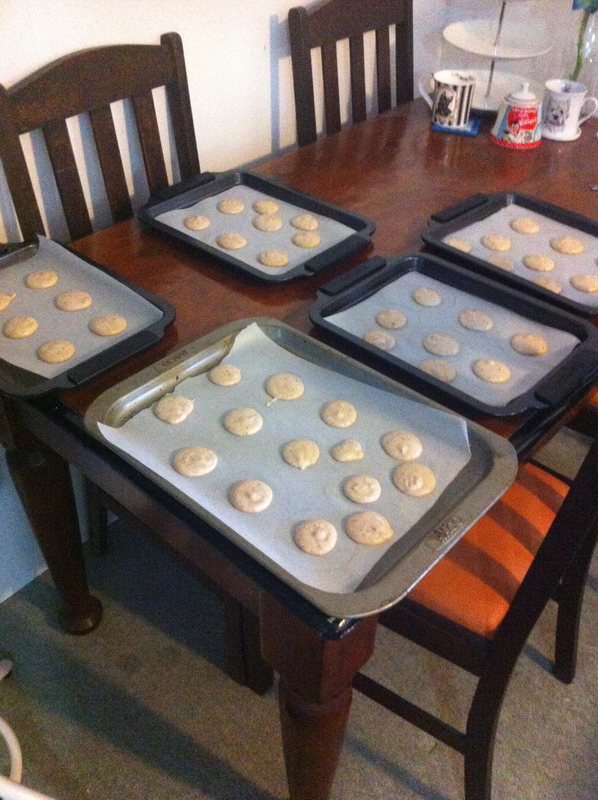 While Steph’s recipe says that it yields 12-15 macarons, I tend to like my macs very small and bite-sized, so I prepped quite a few trays to allow for the extra mix. 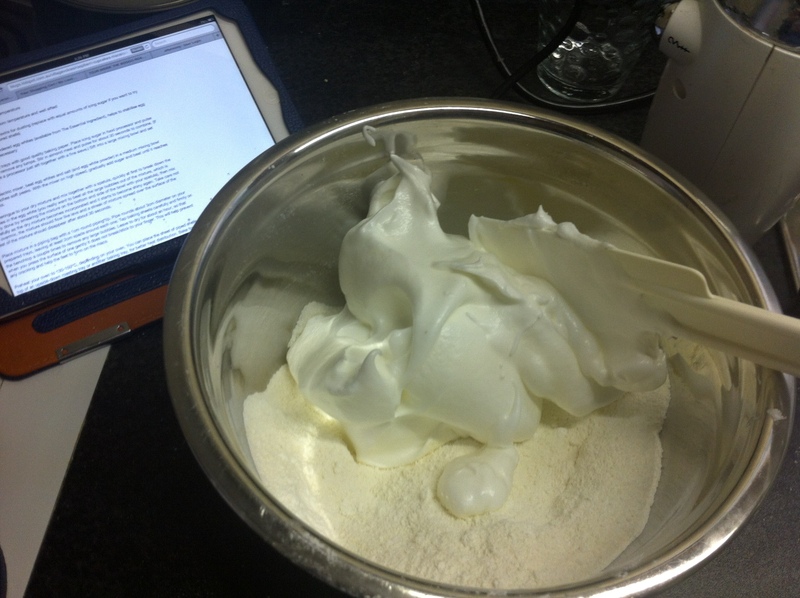 I also had to wait for my egg whites to reach room temperature, so while I was waiting I did a vinegar cleanse on all the mixing bowls in my cupboard, just to be sure that no traces of anything my meringues could react to was left on them. I read through the recipe several times, measured out all my ingredients and followed the instructions to the absolute letter. I wasn’t 100% happy with how even I’d piped the macarons, I had trouble getting the mix not to flick into a little tail as I pulled the bag away. 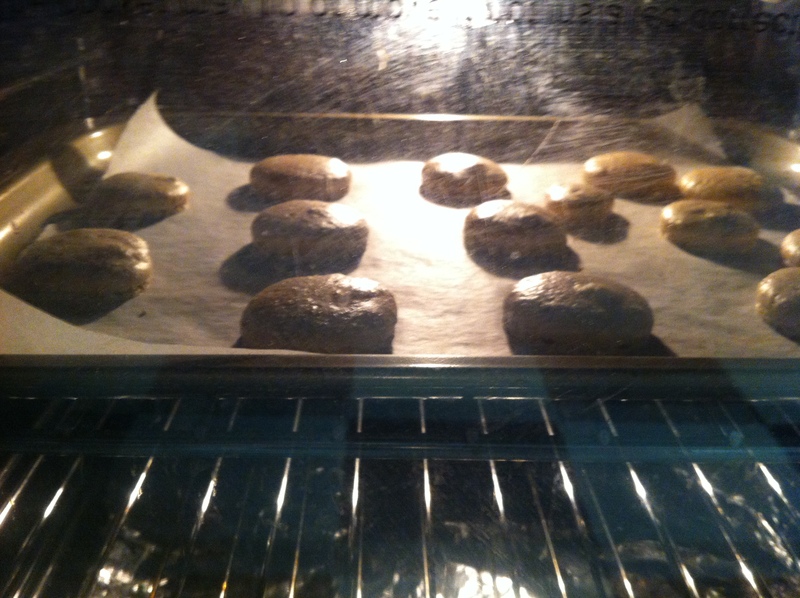 I was so happy with how they looked. Not perfect, some of them were a little bit on the hollow side, but most of them were a good size, a nice consistency and, once I whipped up the Milo ganache, they tasted freaking awesome!! 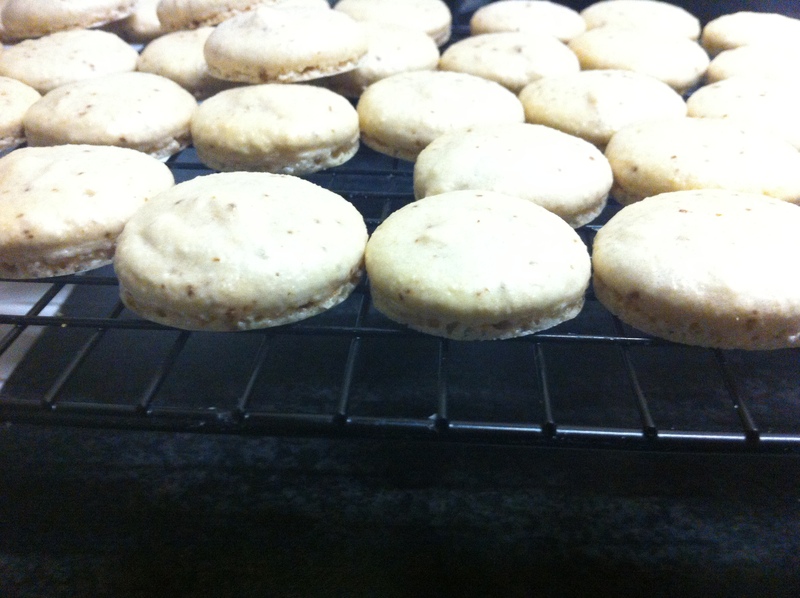 So, all in all, I’m feeling much more confident about macarons after this! Thanks for sharing the recipe, Steph! I’ve bought a bunch of different flavourings and can’t wait to experiment some more!